Tonight’s free book is “Biblical Creationism” by Henry Morris, one of the father of the modern Creationism movement and a Young Earth Creationist. I thought it was important that every Christian apologist at least once read one of Morris’ work whether they agree with him or not. Here in this particular work, Morris surveys what the rest of the Bible has to say about creation. Thanks for the link – I’ve downloaded the book. Henry Morris’ writing helped spur Christian community to embrace science once again as God-given. As Ken Ham says it, “we have the same science, but different starting points.” Thanks for sharing the information about this resource. There is no way that the earth was created and seeded in SIX DAYS, I don’t care what jargon is used to tell the story, it is mathematically improbable. Yes, there has to be a creator, but this is NOT his/her story. 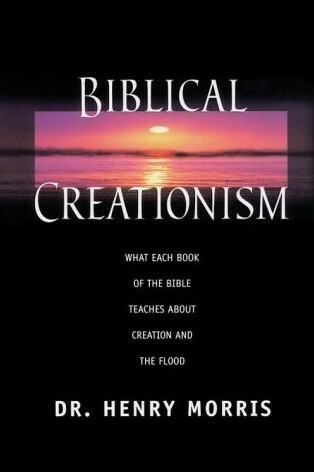 My next question is where is the scientific creationism book I was originally searching for? Did Mr. Morris change the name of his book?Because Amazon has the scientific title under Henry Morris. thanks, I had tried several times, I think there was a problem with my computer. got it now.